Much like a piece of diamond jewelry, Aquazzura's 'Crillon' sandals will instantly make any outfit feel more glamorous and special. Crafted in Italy from silver mirrored-leather, they have slim straps that are dotted with glistening crystals and fasten into a bow. 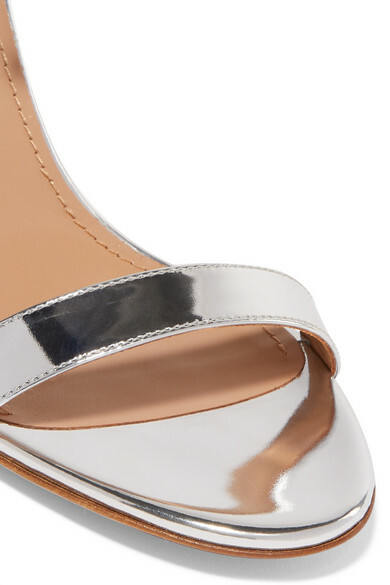 Keep your pedicure neutral but still glossy. Shown here with: Les Rêveries Dress, Sies Marjan Blazer, Dolce & Gabbana Shoulder bag, Leigh Miller Earrings.